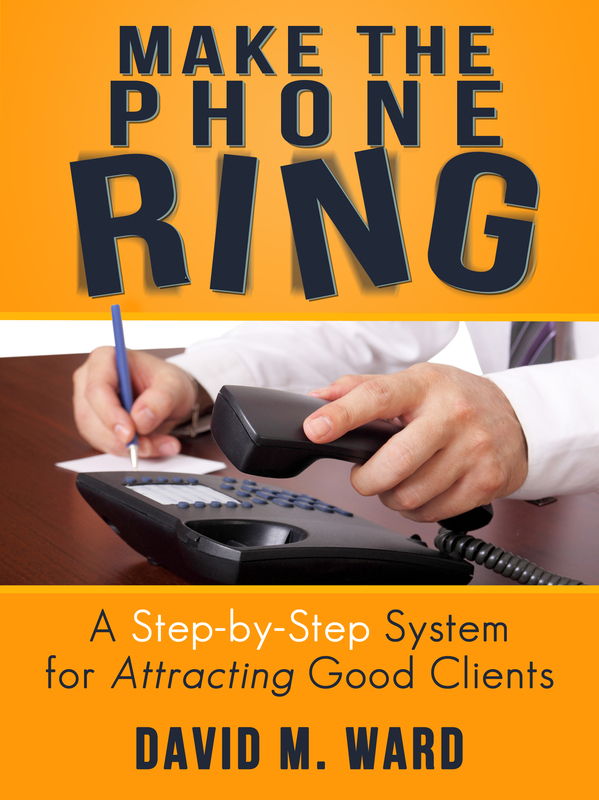 You often hear me urge you to tell prospective clients (et. al.) how you are “better or different” from other lawyers who do what you do. “Better” means that you deliver more value or better results. It might also mean that you give your clients better service–making them more comfortable with you and the process. And it might also mean that you do things for them that go beyond the core services you are hired to deliver. 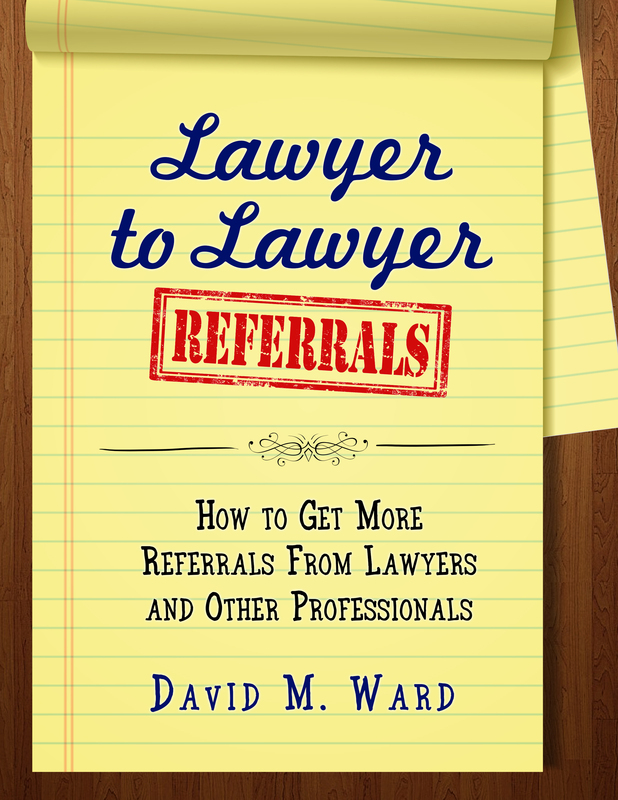 An example might be your reputation for helping clients find other professionals, vendors, or business connections, for matters unrelated to the legal work you’re doing for them. Different often means you do what you do in ways other lawyers don’t do it. You conduct the first interview personally, for example, instead of having a staff member do it. Or you make house calls. In communicating with your market, your job is to translate how your differences are “better” for the client. Being different is also a way to stand out in a crowded market. You might always wear purple neckties, for example; that’s different, not better, of course. But if people remember you via your signature color, you’ll have more opportunities to talk to prospective clients and show them how you are better. Look for ways to differentiate yourself from other lawyers. Show them how you are better. If you aren’t better, be different. You do that by being yourself. Ultimately, most clients aren’t going to hire you because you offer dramatically better legal services than other lawyers. They’ll hire you because of you. Your marketing has a personality. A style. In part, it is comprised of what you say to prospective clients and how you say it, but also things you don’t say because you presume prospective clients already know it. That’s a dangerous presumption because not all clients are alike. Some clients have a lot of experience dealing with legal issues and hiring lawyers. Others don’t. 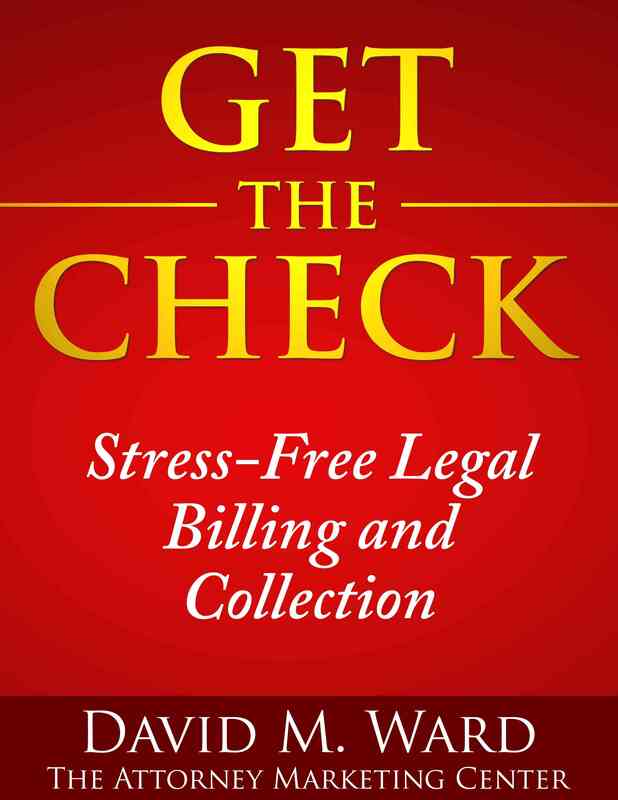 Some clients have deep pockets and understand how lawyers’ bill. Others have to dig deep to pay you and have trouble understanding why you charge $400 per hour when they earn only $25. You have to understand these differences, and others, and groom your marketing and client relations playbook for each type of client. You need different content, different language, and different levels of hand holding. You shouldn’t expect your clients to completely adapt to you and your ways; they are the client, you serve them, and you must be prepared to adapt to theirs. “Know thy client,” I’m sure someone wise once said, and it’s good advice. It will help you attract good clients who will like you and trust you and hire you again, because they know that you understand them and care about making them happy. Study your clients–their backgrounds, their industries, their cultures and personal lives. What do they know? What do they want? What are they afraid of? Education marketing is about showing your market what they need to know about their legal issues and the available solutions. It’s about teaching them the benefits of taking action and the risks of delay. That’s why you create content and deliver it to your target market. But if that’s all you do, you’re not doing enough. Effective content isn’t about showing people how much you know. It’s not about showing them how good you are at what you do. It’s not about those things because effective marketing isn’t about you, it’s about your audience. Your articles, posts, and presentations need to map what you know and what you do to the fears and desires, wants and needs of the people consuming your content. Think about your ideal client. What keeps them up at night? What are they worried about? What do they fear might happen? What keeps them going during the day? What are they working to achieve? What makes their sacrifices worthwhile? Once you know what makes them tick, show them how you can help them get what they want. You do that by speaking to them, not at them. Engage them. Show them that you truly understand their situation–their problems, their pain, their desires–either because you’ve been in their shoes before or because you’ve worked with and helped people in that situation. Tell stories about your clients and former clients who are like them. Describe their background, occupation, and legal situation. Use the terminology common to their industry or market. Use quotes from people they recognize. Turn up the heat and acknowledge your reader’s pain. Dramatize their problems and warn them, in no uncertain terms, of what might happen if they don’t take action or they make the wrong decision. Wake them up and shake them up and tell them what to do to get relief. Don’t deliver a white paper, sell them on taking the next step. Because you can’t help anyone until they do. I’m excited! I just got a text telling me the storage rack I ordered Saturday night will be delivered today before 8 pm. But I know better. I’ve been tracking the package and know it’s at our local post office right now so I’m pretty sure it will get here this afternoon. Anyway, I do have a point. The point is that we all need to be aware of how our clients feel when working with us, or more accurately, how they want to feel. We need to know this so we can we can help them get a taste of those feelings before they hire us. 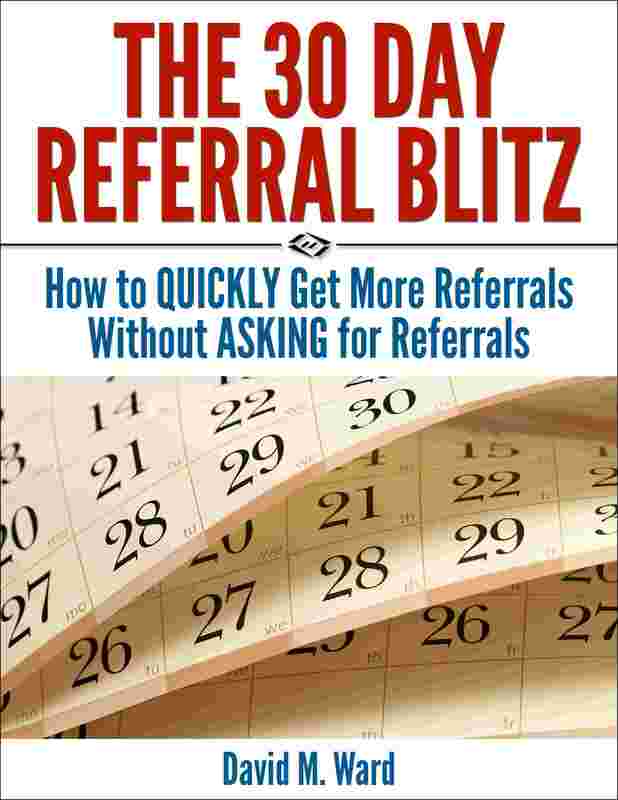 If you handle adoptions, you know your clients get excited when they hear good news from you. They wait by the phone, anticipating your call. In your conversations with prospective clients, in your articles and blog posts, in your marketing documents, you’ll want to talk about what that’s like and share how you feel being able to help people experience one of the happiest days of their lives. If you handle criminal defense, you know the sense of relief your clients experience when you’re able to tell them that some or all of the counts against them have been dismissed. On your website, blog, videos, or podcast, you’ll want to describe the relief your clients feel when you’re able to deliver that kind of news. If you handle business transactions or estate planning, you know that your clients enjoy peace of mind and a sense of pride about getting their paperwork done and their business or loved ones protected. That should be the central theme in your marketing. Give some thought to what your clients want to feel as a result of hiring you. It’s never about the paperwork, the settlement, or the outcome, ultimately, it’s about how they want to feel. Figure out what those feelings are. Then, do what you have to do to make sure they experience them. It’s corny but true. You can (and should) lie, cheat, and steal your way to success. Lie in bed at night thinking about what you can do the next day to get more clients and increase your income. Cheat some time during the day from your other activities and dedicate it to marketing. 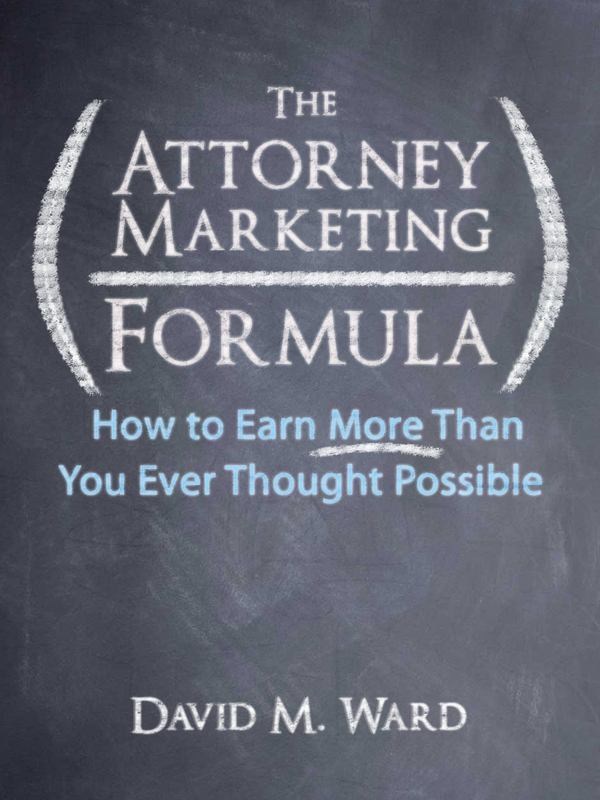 Steal the best ideas from other lawyers, and especially from businesses since most lawyers are terrible marketers. Solid advice because it gets you to focus on marketing and primes you to continually look for ideas you can steal, well, borrow from others. We’re talking about finding what others are doing that’s working and emulating it. Using the essence but not the actual words. Modifying what others are doing to suit your practice, market, and style. Set up a swipe file to collect emails, articles, ads, blog posts, and such, that other people are using to promote their practice or business. 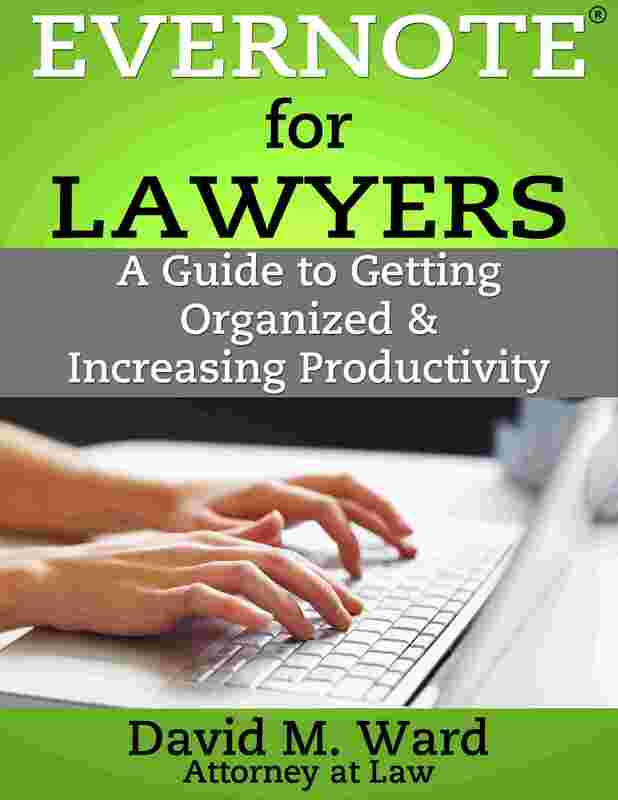 Subscribe to other lawyers’ email lists and blogs. Do the same for other types of professionals and service businesses. Copy things you like and also things you don’t like (so you’ll know what to avoid). Study the emails, etc., you like and ask yourself why you liked them. Make notes. Try your hand at writing it differently. With each new email, ad, video, or piece of content, ask yourself why you opened it or why you watched it. What words or images caught your attention? Once you began, what compelled you to continue? What did they promise or imply? What benefits did they offer? How did they get you to read all the way to the end? Pay extra attention to headlines, sub-heads, email subjects and bullet points. Also note calls-to-action. You may not know why they are effective but if they resonate with you, put them in your swipe file and review them again later. Did you buy what they offered? If so, why? If not, why not? What closed the deal for you? What objections did they overcome? Where did they miss the boat? Go back through your swipe file periodically and ask yourself what you could use or adapt. What ideas, what offers, what words could you use in your marketing? Keep reading and watching and studying. Train your marketing eye. Study the content and conversations around you, not with the eye of a consumer or colleague but with the eye of a marketer. You would be amazed at what you can learn, and what you can steal. Years ago, I read Helter Skelter by Vincent Bugliosi, the lead prosecutor in the case against Charles Manson. Bugliosi presented the timeline and documented the evidence in the case in meticulous detail. But he didn’t just describe the facts and the evidence. He explained why it mattered. He put everything together into a masterfully persuasive account, as though he was again presenting the case to the jury. I remember thinking, “nobody who reads this would have any doubts about what happened, or the correctness of the verdicts”. That’s what we expect of a prosecutor doing his job. It’s also what we expect lawyers to do when advising their clients. When you tell your clients what you recommend, you must tell them why. It may be obvious to you, but it isn’t necessarily obvious to the client. Even when it is, telling them the facts and arguments you considered helps them to see why they should follow your advice. Anyway, I’m sure you tell clients why they should follow your advice, but do you do that in your marketing? I’ve seen too many ads, blog posts, articles, videos, emails, presentations, and so on, where the lawyer doesn’t tell people what to do (call, email, fill out a form, etc. ), or if they do, they don’t tell them why. Tell people why they should call, download your report, or subscribe to your newsletter. Tell them why they need a lawyer, why they should choose you, and why they shouldn’t wait. If you want to get more clients, tell people what to do. And why. Yesterday, I said that the goal of your professional writing is to persuade people to do something and that you should decide what that is before you write. Knowing what you want them to do allows you to tailor your writing to your call to action. If you want readers to download your free report, for example, you might use some of the content of that report in your post, leaving the reader hungry to hear more. One of the simplest ways to persuade people is through repetition. Tell them what to do in the body of the text and again at the end. The more often they hear what to do, the more likely they are to do it. You can also use repetition by writing more frequently. Instead of long emails once a month, for example, write short emails once a week.Each message is another opportunity to tell them what to do. You’ll notice that my emails are relatively short. That’s intentional. I want you to read my email as soon as you get it. I know that if you save it for later, you might never get around to it, and that doesn’t help either one of us. Shorter pieces are also easier and quicker to write. Instead of spending three hours crafting a comprehensive article, you can take 15 minutes to write a few paragraphs and get it out the door. Longer pieces certainly have their place. The sales letter for my first referral course was 32 pages. But I wouldn’t expect you to read that much every day. If you want to persuade more people, write shorter emails and send them more often. You’ll have that many more opportunities to tell people to do what to do.